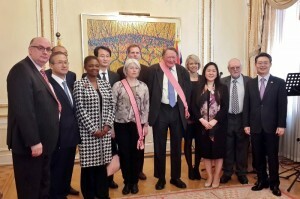 Ms Julie Dawick and Sir John Stanley with Vice Foreign Minister Sungnam Lim (2nd left) and Ambassador Joonkook Hwang (right). Also in the picture are Baroness Amos, Director of SOAS, with staff members. 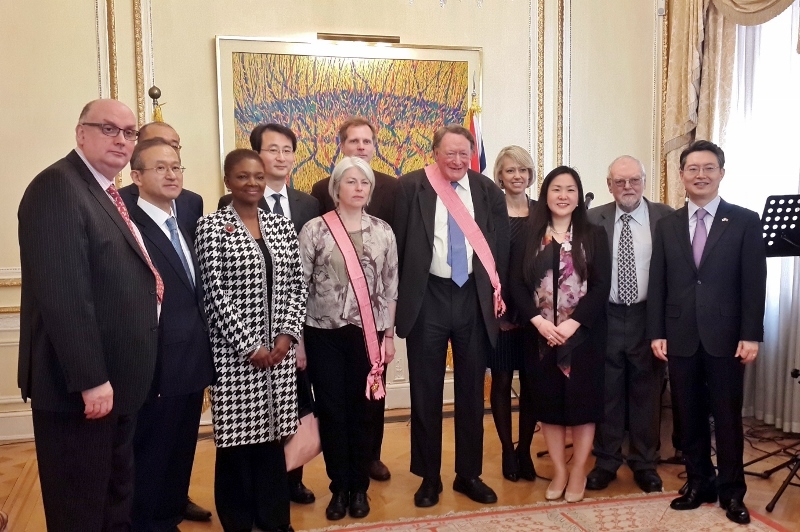 On April 28, Ambassador Joonkook Hwang hosted the presentation of the Order of Diplomatic Service Merit to Sir John Stanley and to the widow of Professor Paul Webley, formerly Director of SOAS. The presentation was carried out by Vice Foreign Minister Sungnam Lim, the former Ambassador, during a brief visit to London. 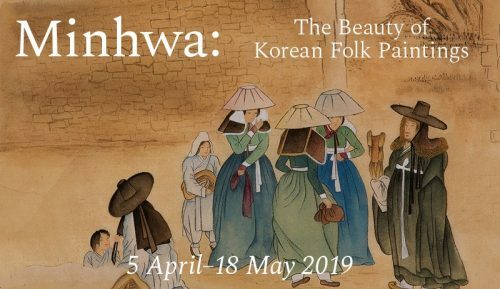 After the presentation, Sir John spoke of his long connection with Korea through the All Party Parliamentary Group; and changes in the UK-Korea relationship he had seen over the years. Ms Julie Dawick spoke of the pride with which her husband would have received the award. Also present were a number of BKS members including Charlotte Horlyck, Grace Koh and Jim Hoare who appear in the photo.